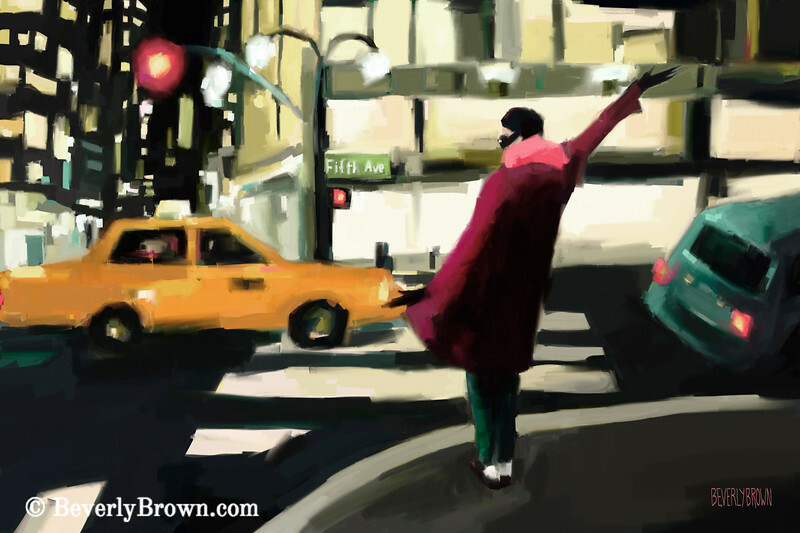 shop nowA modern impressionist digital painting of a fashionable woman hailing a taxi on Fifth Avenue at night in NYC. One of a series of New York nocturnes. © Beverly Brown.